Amazon Web Services this week started to offer M5ad and R5ad Elastic Compute Cloud (EC2) instances powered by custom AMD EPYC 7000-series processors and featuring faster local storage. 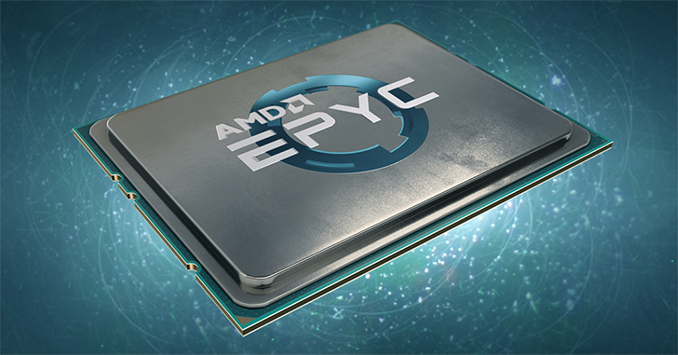 The new AMD EPYC-powered servers for M5ad and R5ad instances offer high-performance, low latency local NVMe storage subsystems that support XTS-AES-256 block cipher in hardware to ensure data protection. The key to protect a data for a specific instance is deleted when the instance is stopped or terminated. The AWS M5ad instances are used for general purpose workloads, including app servers, web servers, gaming, logging, media processing, and so on. Amazon offers M5ad instances in six sizes with up to 96 vCPUs, up to 768 GB of memory, and up to 3.6 TB of NVMe storage. The AWS R5ad are aimed at more demanding memory-intensive workloads, such as in-memory analytics, data mining, caching, simulations, etc. The company offers them in six versions featuring up to 96 vCPUs, up to 768 GB of memory, and up to 3.6 TB of NVMe storage. All the instances are running at 2.5 GHz, and Amazon state that they cost 10% less than the equivalent Intel Skylake-based instances with similar configurations. The new M5ad and R5ad instances are available in the US East (N. Virginia), US West (Oregon), US East (Ohio), and Asia Pacific (Singapore) Regions in various forms. What do you mean when you say " powered by custom AMD EPYC 7000-series processors"? Does this mean AMD is producing Custom produced CPU variants for Amazon? In what way are these custom? AFAIK AMD has not provided custom spun silicon of their major Server CPU's in the past and their entry into this market segment would be significant news as it's a market segment that Intel alone has occupied. I'm not sure he'd be able to say as I doubt AMD and Amazon have made what the custom aspect entails known outside of themselves. AMD has touted their willingness to customize products for customers, and because Intel was already doing it, chances are AMD would have to just to be able to compete. Er, this announcement is literally about them having moved into the market segment and thus gotten traction. I don't think this would really be that big of a deal with regards to their stock since I think AMD has been open about customizing products and going after major cloud markets. It will be all about the numbers as far as it mattering on stock prices, but this is a good sign for AMD. Its clear EPYC is getting traction as it seems like almost all the major players are using/offering it. exactly, these are specific binned CPU for a custom deal. btw If you believe that Intel was the only one, what do you think these guys have been doing for years? https://www.amd.com/en/products/semi-custom-soluti... Now you can also add the custom Google Navi7 to it. Intel is doing far more than binning. The AVX512 "addon" came out of their custom build business. They have been developing and spinning custom x86 silicon for a few years now due to demand from the cloud business and fortune 500 companies, including integrating various custom designed parts into their CPU's, including things like adding FPGA's and ASIC cores into or attached to their server CPU's. So. I'm just wonderin' . . . AWS is the Big Kahuna in The Cloud. "single-source cloud strategy since the Department of Defense announced an aggressive, enterprise-wide cloud adoption"
"Sky-Net is calling on line one, Mr Bezos ...."